The Americana Music Assoc. 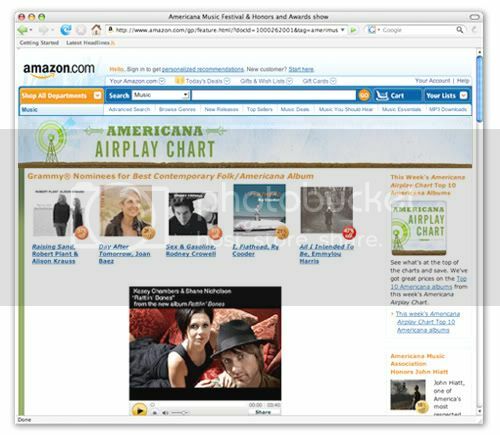 has teamed up with the book giant Amazon for their Music Chart. There are photos, videos and you can download some new tunes. Check 'em out!